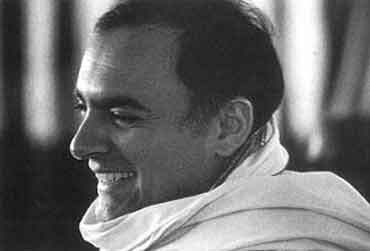 What If Rajiv Hadn't Caved In To The Zealots? 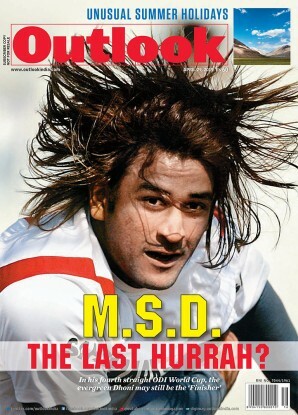 Home » Magazine » National » What If Rajiv Hadn't Caved In To The Zealots? What if Rajiv Gandhi hadn't given in to the bigots in the Shah Bano case? What if the Babri Masjid had not been unlocked by Rajiv Gandhi in 1986? What if Salman Rushdie's Satanic Verses had not been banned? Sundeep Dougal	August 23, 2004 00:00 IST What If Rajiv Hadn't Caved In To The Zealots? What if Rajiv Gandhi hadn’t given in to the bigots in the Shah Bano case? Balbir Punj, convenor, BJP thinktank: Rajiv Gandhi’s yielding to mullahdom was in fact a continuation of a ‘secular’ trend set by his predecessor and maternal grandfather Nehru who legislated the Hindu Code Bill to reform Hindu society. But he left the Muslim society undisturbed in its medieval mindset. We could have had a uniform civil code (UCC) by now but for such capitulations. Kamal Faruqui, member, All India Muslim Personal Law Board: It is mischievous to suggest that Rajiv capitulated to the mullahs. He honoured the wishes of the common Muslims. Had he not got Parliament to pass a law upturning the SC judgement, it would have led to not just riots and a serious law and order problem but also to a state of siege in the minds of the Muslim community. They would have been left sulking, hurt, insecure, and betrayed. It would have been a black chapter in Indian history. Mushirul Hasan, vice-chancellor, Jamia Millia Islamia University: The whole problem with the political strategies of all parties is the assumption that it is only the theologians who represent the communities and their interests. They are not just seen as deliverers of votes, but also taken to be the authoritative spokesmen of the community. This was a clear opportunity lost because there was a very strong body of opinion within the community which approved and welcomed the court judgement, and this is where by backing the modernists and the liberals at that time—which is what Nehru did at the time of the Hindu code bill—the Congress would have emerged much stronger. KF: That the majority of Muslim women were in favour of the SC judgement in the Shah Bano case is just a canard spread by some so-called feminists and self-styled liberals. They were, all combined, at best a minuscule minority. BP: The so-called liberals and secularists did a great disservice to the nation and all those whose causes they claim to espouse so passionately by allowing this blatant cynical act to happen. It is because of their mealy-mouthedness that the Muslim community remains caught up in a time-warp and the women continue to remain oppressed. That would have eased to a great extent. MH: It did trigger a vigorous debate which led to a fair degree of introspection. There would have been no discussion that is taking place today about the procedural aspects of talaq, and the status and the role of women in Muslim society. It led to a reappraisal of the existing attitudes and the interesting thing is that the most vociferous critics today are relatively quiet. This would not have happened. BP: All this could have happened 20 years ago. We would possibly even have by now progressed to a UCC and not all be wringing our hands in frustration. In fact, we would not have had any politics of vote-banks and keeping the Muslims backward as a strategy. Muslim women would not continue to be treated in this medieval-minded way. MH: Yes, had the Congress not capitulated, the politics of communalism would not have gained salience in the short run. There would have been one stick less to beat the Muslim community with and the constant demonising of them as medieval-minded etc. 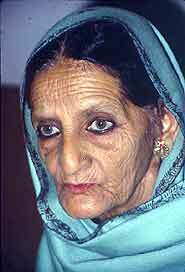 The BJP and allied outfits presented the Shah Bano case as yet another example of "Muslim appeasement". They were not interested in the status of divorced Muslim women or the Muslim women in general, what they were interested in doing—which they did very successfully—was to exploit this.But I think the introspection, debate and discussion engendered as a result is a significant beginning, a significant change indeed. What if the Babri Masjid had not been unlocked by Rajiv Gandhi in 1986? MH: It’d be very hard to dispute the interconnection between the Shah Bano case and the opening of the Babri locks. The sequence of events would have been much different if this dormant symbol was not reinvented by some very clever person or persons and turned into use as a trumpcard. If these two incidents had not happened, the BJP would not have emerged as a political force that it did. Despite very substantial presence of the RSS and its very extensive networks, till the mid ’80s, the ideas of Hindutva or Sangh’s divisive ideology was not gaining any acceptance in the intellectual climate. BP: First of all, it has been a functioning temple at least since 1949. The gates were not opened out of conviction but as a counterpoise to having given in to the mullahs in the Shah Bano case. It was not dormant but had always been a live symbol and issue. History shows that Hindus had never given up their demand on the site. Legal cases had been going on, only to be forever delayed. Justice delayed is justice denied. The lid of Hindu patience was blown off which resulted in the demolition of Babri. A section of Hindu society got tired of this snail-paced judiciary and pulled down the disputed structure. The rest is history. Rajiv Gandhi’s opening the doors or leaving them locked would possibly have affected the chain of events very little. KF: It is very clear that it was a functioning mosque till 1949 when statues were smuggled in. But the fact is that there were no riots between 1949 and 1986 when the then PM was misguided by some over-smart advisors that this act would placate the Hindus who had been fed the lie of "Muslim appeasement". The Congress would not have lost the trust of the common man—Muslim, Hindu or others. MH: What is certain is that but for this issue, the process of eclipse of the BJP brand of politics would have been complete. From a Congress hegemony, despite the results of 1984, we were headed towards a genuine multi-party system. This mobilisation allowed the BJP to create a substantial constituency that has remained intact to a very large extent because they were able to capture political power in some states—and thanks to the wider acquired legitimacy because of erstwhile socialists like George Fernandes and other so-called secular leaders—from a party of two MPs when the gates were unlocked. This would not have been possible otherwise. BP: The gates would in any case would have had to be opened at some point in time or the other. It was a historical inevitability. Those who say that the BJP would not have emerged as a political power are living in a fool’s paradise and indulging in wishful thinking. In 1984, the BJP was reduced to two seats because of the Delhi riots and the Congress-sponsored pogrom of Sikhs and the fear psychosis that had been built up in the country. The BJP already was a potent force and its rise to power was inevitable. KF: Look at the tremendous cost that has been paid by the country. The lives of many innocents, regardless of religion, including children and women, would not have been lost because of resulting riots and chaos. Apart from the atmosphere of fear and insecurity, the whole country’s collective energy would not have been dissipated and diverted to a local issue that has not only created a tremendous rift among communities who had lived peacefully for centuries, but also cost us loss of international face. India would have shone even brighter, because real issues such as education, poverty, reforms in personal laws, population, economic growth could have been focused on instead. BP: The real lesson of history is que sera sera—what is to happen, shall happen. Events at an appropriate time will break through a different door even if the first remains locked! The difference is only technical rather than real. What if Salman Rushdie’s Satanic Verses had not been banned? KF: I think the ban on Rushdie’s Satanic Verses was totally valid. Had the ban not been placed, there would have been not only riots but bloody riots. It would have been unimaginable. The law and order would have collapsed. Just thinking about it is scary. It was an intolerable offence. BP: Even the Marxists in West Bengal who proscribed Taslima Nasrin the other day were against this ban. It was a result of ‘secular’ advice to Rajiv Gandhi. ‘Secularists’ fear that anything remotely critical of Muslims can lead to a bloodbath on the streets. KF: For Muslims, the status of the Prophet is supreme. Even those who call themselves very modern and liberal cannot tolerate any insult or even a perceived insult against the persona of the Prophet. They are willing to lay down their lives if they feel that he has been insulted, mocked, or made fun of or shown misleadingly. We do have freedom of speech, but it should not be confused with freedom to abuse or to hurt the religious sensitivities and sentiments of the devout. This applies to all religions, not just Islam. BP: ‘Secularists’ have shunned a debate on any religious or theological aspect of Islam, while Hinduism and Christianity have been scrutinised under the microscope of rationality. By this ban ‘secularists’ tightened the lid on a possibility to relieve this claustrophobia. KF: Some Christians may laugh or be liberal about a film on Jesus Christ. But the so-called liberal and secular Hindus, in particular, cross all limits in depicting or discussing their revered persona and Hindu gods. I fully sympathise with those whose feelings are hurt. Such shocking and mocking articles about revered Lord Rama or Lord Krishna or others should be equally stopped. BP: There are books more critical about Islam, not due to their style, but substance. But the point is not about hurting anyone’s religious sentiments deliberately but of rationality and promoting interpretations in keeping with modern times. Let us not create an atmosphere where any and everything can be banned on charges of real or perceived or claimed hurt. What is to stop anyone from demanding that their feelings are hurt too? Where do you draw the line? The whole discourse got vitiated because of this ridiculous ban. KF: Not banning would not have changed anything. 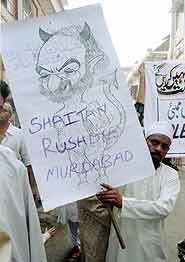 Controversies are always there and I am totally against those involving the painter Husain, for example. He has absolutely no right to hurt any sentiments by his obscene paintings. In fact, the Holy Quran explicitly prohibits doing any such thing which might cause hurt to any religious sentiments. Not just Islamic. It is true that the Sangh parivar and others have been able to politicise even this sensitive religious issue, but that is in their nature.Even if somehow the law and order machinery could have coped with the protests, just imagine the hurt and hatred such a thing would have left in the hearts and minds of Muslims. Imagine 150 lakh hurt people who feel that their ultimate object of veneration has been insulted. BP: A debate on various aspects of Islam could have got initiated had the book not been banned, and it would actually have resulted in promoting better understanding and openness and given confidence to the Muslim community at large. England 1509: What if the Catholics could divorce? Would Henry VIII have turned England Protestant? England 1611: What if the medieval ban on translating the bible from Latin had not been eased? Next Story : What If DD Hadn't Telecast Ramayan? The vocabulary this election brought into currency. Presenting, an A-Z.